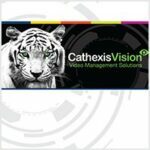 Cathexis Technologies will launch the latest features from its world-class IP Video Management Software, CathexisVision, when it joins the line-up of exhibitors at Securex South Africa 2017 taking place 30 May to 1 June 2017 at Gallagher Convention Centre. Cathexis will showcase its world-class software capabilities by demonstrating some of the outstanding CathexisVision features that current Cathexis customers are already familiar with and reveal the latest enhancements that come with CathexisVision 2018. Cathexis Technologies has added several enhancements to its Automatic Number Plate Recognition (ANPR) solution, including vastly improved recognition times, additional license plate libraries as well as an improved database search and reporting infrastructure. The CathexisVision Advanced Video Analytics feature significantly boosts the value of any CCTV surveillance installation with the ability to configure analytics on both pre-recorded and live footage. The CathexisVision2018 software includes vastly improved background modelling techniques, which will improve effectiveness in outdoor environments by reducing false positives. Our Smart search features now include: Motion-Search – which enables you to easily search for motion on recorded video in user selected areas, SnapSearch – which uses snapshots (thumbnails) to easily hone in on specific events and Motion-Trails – Which uses past event overlays to very quickly navigate back to the time of last motion activity. Adjacent Camera Tracking allows users to “map” cameras together in order to enable operators to easily follow suspects across multiple cameras. Easy “one-click” overlays enable the users to change to the “next” camera view at the click of a button. CathexisVision 2018 simplifies the software licensing structure to facilitate easier deployment for distributors and installers. CathexisVision continues to add cameras to its already impressive integration list. CathexisVision supports hundreds of the world’s most popular brands of IP cameras, most of them with dedicated drivers, making it truly camera agnostic. Full list of the latest camera integrations. CathexisVision can be seamlessly integrated with various third-party systems from world-leading brands, including: Access Control, Alarm Panels, Fire Panels, Analytics, Building Management Systems, and many more. We are continuously adding new integrations which add more dimensions to your security solutions. Full list of the latest integrations. Cathexisvision2018 efficiency in management of cameras recordings mean that you can add more cameras to recording servers than ever before. This means less hardware, and lower cost of ownership. Our new web-based design tools enable our partners to easily calculate both hardware and license requirements for their opportunities. We have now added video analytics parameters to our calculator as well. PreviousPrevious post:Integration enhances mining security and operationsNextNext post:IFSEC International 2017 opens today!